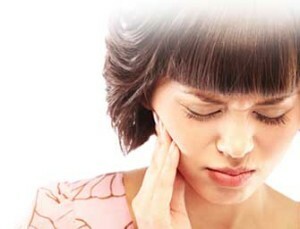 You may need the services of a temporomandibular joint or TMJ specialist in New York City if you have jaw pain that your medical doctor can’t diagnose. Treatment for TMJ has come a long way, and your Brooklyn orthodontic team at Envy Smile Dental Spa has availed themselves of the latest technologies to help you achieve pain-free, aesthetically pleasing oral health. While medical therapy still relies on pain medications to treat jaw pain and migraines, treatment for TMJ at Envy Smile Dental Spa often helps without drugs or the accompanying side effects they produce, like addiction. If you have chronic, recurrent headaches in Brooklyn and your medical doctor can’t pinpoint the cause, you may benefit from a functional jaw orthopedics evaluation from a cosmetic dentist. Jaw joint problems, clinically referred to as temporomandibular joint disorder or TMD, are usually just called TMJ for simplicity. It doesn’t matter what you call it, as long as you clearly describe your symptoms to your doctor, and eventually your New York City dental spa specialist. The most common sign your TMJ specialist hears about is pain while chewing. Occasional discomfort while chewing, however, is common and not always a sign of TMJ problems. Functional jaw orthopedics is a relatively new science. The TMJ treatment often is based on the findings of the latest orthodontic investigative techniques. At Envy Smile Dental Spa in Brooklyn, your cosmetic dentist team offers this cutting-edge option that involves changing the relationships of your teeth, bone, muscles and tissues of the upper and lower jaws, jaw joints and skull. Your New York City dental team looks for simple tooth imbalances that force your lower jaw to shift, leading to your jaw pain and headaches. If your jaw shifts too much toward one or both TM joints, the forces used for chewing and biting eventually cause the degeneration that’s the source of your discomfort. Your dentist often catches this on X-rays. Treatments for TMJ can take many forms. It’s an individualized process that guides your orthodontist and cosmetic dentist. Relying on a broad range of techniques and appliances, your dentist picks the best suited treatment for your particular needs. At Envy Smile Dental Spa in Brooklyn, you won’t be shoved into a general treatment method or timeline. Instead, you’re encouraged to try a few different removable appliances that place forces on your teeth and jaws — the same appliances used for straightening teeth. Removable and fixed braces can be made of metal, plastic or both. TMJ is a disruptive condition. Your NYC dental spa is the perfect place to get your treatment for TMJ. In addition to the top-rated dental team, you’ll also have access to day-spa-like amenities that range from aromatherapy to neck pillows while undergoing treatment. Do you have any questions about TMJ Treatment in Brooklyn NY? Would you like to schedule an appointment with the TMJ specialist in Brooklyn? Please contact our office.